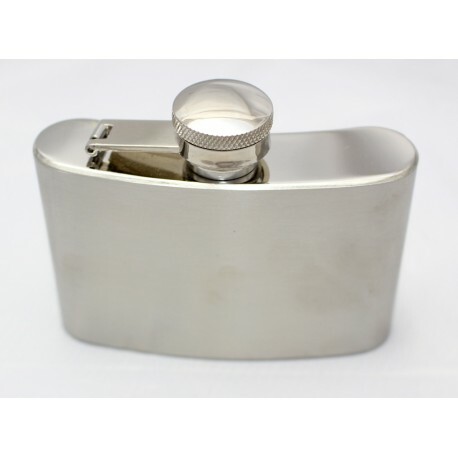 This high polish hip flask is 4oz in size, perfect in size for any pocket! Screw top fitted to the flask for extra security. Made entirely of stainless steel.